George Vernon Airey, Jr. was born on July 21, 1944 to Mr. and Mrs. George V. Airey, Sr. of Ann Arbor. George, Jr. is the son of the President of G.V. Airey Building Company. 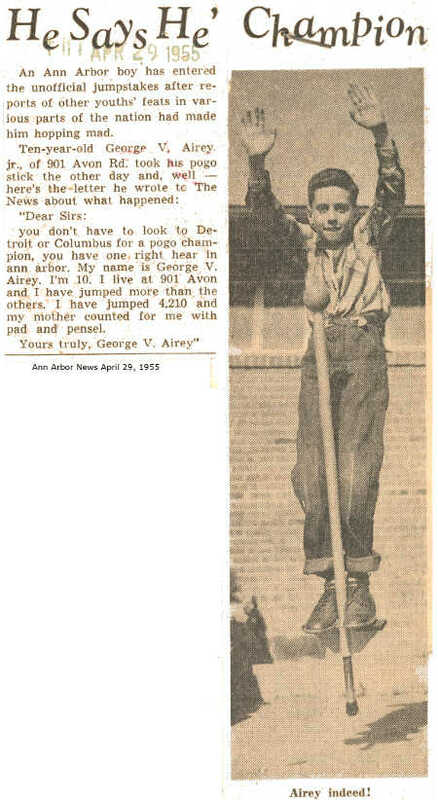 When George was ten years old in 1955, he became a pogo stick jumping champion by setting a record of 4,210 jumps without using his hands! He loved to water and snow ski, scuba dive, play guitar, and collect items such as tropical fish. He is a 1962 graduate of Ann Arbor High School, and also studied construction and building at Ferris State University and Lansing Community College prior to enlisting in the Army. Specialist 4 Airey, Jr. enlisted in the Army in 1966 and received his training at Fort Carson, Colorado as a Armored Reconnaissance Specialist. George was assigned to the First Cavalry Division at Fort Carson. George started his tour in November of 1967 as an Armor Reconnaissance Specialist with D Company, First Battalion, Fifth Cavalry Regiment of the First Cavalry Division. 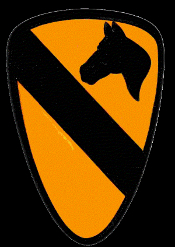 "On the night of 08/09 May 1968, the 1st Battalion, 5th Cavalry, was operating in western Quang Tri Province from a temporary base. At 0705 on 09 May, the Battalion came under attack by North Vietnamese Army forces - initially by mortar fire, then a full-fledged ground attack...Charlie Company was cut off from the other companies and bore the brunt of the attack. The NVA were fended off, but not without cost, and the aggressive patrolling which brought more US losses." A total of nineteen (19) men died in this action including Specialist 4 George Vernon Airey, Jr who died of multiple fragmentation wounds. He lived 23 years, 9 months and 18 days. George Vernon Airey, Jr. is resting now in Forest Hill Cemetery in Ann Arbor. George left behind his parents and two sisters. George was awarded the Purple Heart, National Defense Service Medal, Vietnam Service Medal, Vietnam Campaign Ribbon, Expert Rifleman's Badge and posthumously awarded a second Purple Heart and the Bronze Star. His name is listed under Ann Arbor on the Ypsilanti Township Vietnam Memorial, and on Panel 57E Line 012 on the Vietnam Memorial in Washington, DC.